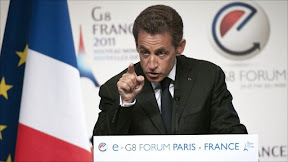 Most ludicrous, offensive and insulting sight of last month: President Sarkozy posturing at the E-G8 Internet conference, standing up to tell the rest of us how France is going to lead the G8 to regulate the Internet for the whole world. Full Circle Podcast Episode #20, A Dutch Pirate with False Teeth is available now from the main site. 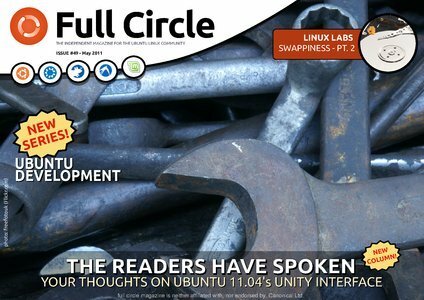 Full Circle – the independent magazine for the Ubuntu Linux community - is proud to announce the release of our forty-ninth issue. * Use Google In Thunderbird. NEW COLUMN! I Think - we pose a question and you, the readers, give your thoughts. This month: what do you think of Unity? My Banshee experience started with the remarkably fast import of my music collection. Oft criticised, I don't see why. Banshee imported 5188 tracks in just over 5 minutes. How many times do you run import and how fast do you need? At last, a statement from Google's Eric Schmidt that we can all endorse! 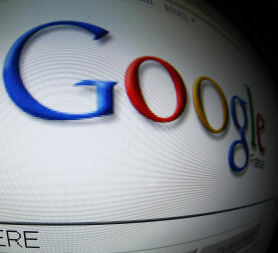 Notorious king-of-creepy and Google Chairman Eric Schmidt launched a characteristically blunt attack on an unusual quarter, firmly rejecting the US PROTECT IP Bill as a disaster for free speech. 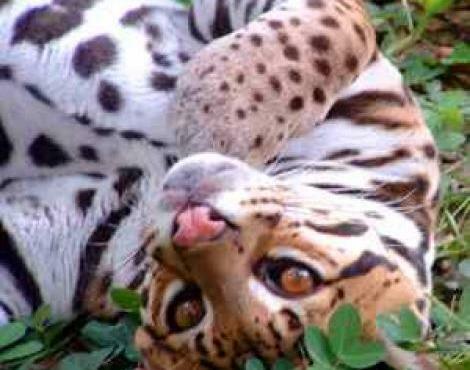 Ubuntu 11.10, the eccentrically named Oneiric Ocelot was announced back in March, 2011. We now have a confirmed feature list for the release due October 13th, 2011. In summary, a graphic from the fantastically named CyberGothPandas site for graphics designers (highlighted by teknophilia, thanks). In case you haven't spotted the link in the blog-roll, there is another piece of shameless self-promotion. 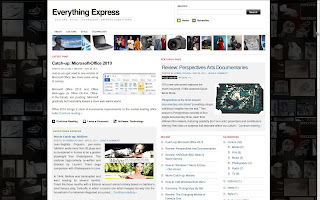 Everything Express is our other site co-authored with Smithie, De Guerre, Hammond, Everchild and some upcoming guest contributors. There you'll find most of the Linux and Open Source content syndicated from this blog, plus some of our other interests in the culture section, including books, movies, radio, TV, photography and art. I tripped over an issue with dual-booting a machine with Windows and Linux this week. 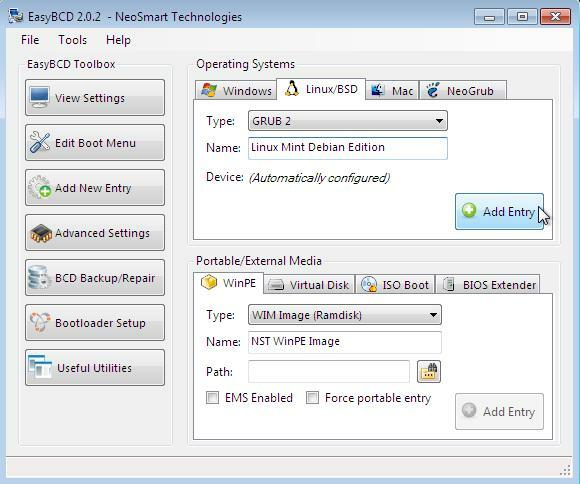 If Windows is installed first on the primary partition of the first hard disk, you might decide go with frequent advice NOT to install the Linux boot-loader onto that partition, for fear of messing up the Master Boot Record (MBR). 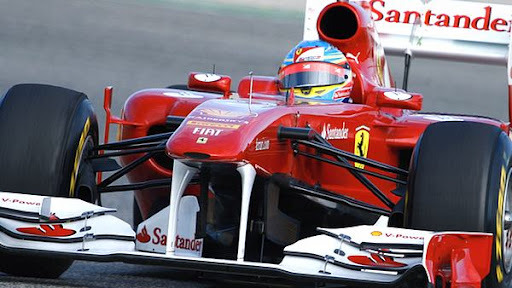 From Italy to India, David Goldblatt examines the ever changing face of Formula One. 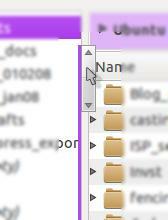 Ever since they arrived in the test versions of 11.04, I've hated the new Overlay Scrollbars in Ubuntu. If I miss that then it disappears and I've got to mouse about to get it to appear again. In theory a brilliant space saver. In practice an insane idea that drives me crazy AND drives a coach and horses through common-sense accessibility! Microsoft has spent $8.5 billion to acquire a company outside of its' core competencies. The optimists look toward the wholesale integration of Skype technology into Microsoft's product line. The pessimists say it paid over the odds for a firm that can't deliver anything to Microsoft's bottom line without radical and ruthless surgery - which may well threaten the very value Redmond is seeking to create. So why did Microsoft buy Skype...? Getting over our jealousy of the attendees receiving lots of free gadgets, the Google I/O Conference 2011 produced the usual flood of announcements. The stage presentation was rather dull, the announcements potentially huge. In summary, Android everywhere (just don't mention Google-TV). Where to start...? The biggest acquisition in Microsoft's history: buying Skype Voice-Over-IP telecoms company for $8.5 billion. Microsoft has trumped both Google and Facebook, which had been hovering over the purchase - although both these rivals have nascent voice and video telecoms already built into their own platforms. Rumours of technical asset-stripping or simply killing a rival service abounded. why begs the question, why Microsoft...? Ubuntu 11.04 has replaced Rhythmbox with Banshee as it's default media player. Note media not just music. This isn't Canonical playing games with the Ubuntu distro, but because the Rhythmbox development team may release only one more version; it’s the end of the road for this popular music player, which is a shame as I like it. 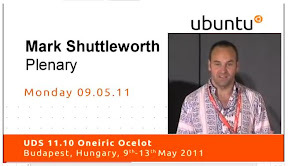 A quick update to say that Mark Shuttleworth's Keynote speech from this year's Ubuntu Developer's Summit (UDS) is now available as a video from several sources. For the path of least resistance, YouTube has it at http://www.youtube.com/watch?v=rjyNTCHVyxs. Full Circle Podcast Episode #19, Burnt at the Stake is available from the main site. In this episode, Ubuntu 11.04 and Unity. Wilkins, Hewitt and Catling go head-to-head in the fight over the interface called (ironically) Unity. I have Ubuntu 11.04. After jumping through hoops to get the thing going, I also have the Unity 3-D interface. Now I am wondering, like Benjamin Humphrey ("What’s wrong with Unity & how we can fix it" published March 17, 2011) where it's all gone wrong. It's worth looking down Ben's post and the - long list - comments which follow, especially as one of the early ones is Canonical supremo Mark Shuttleworth. Scroll down to Mack Richard's response as a tutor, in particular. So what is wrong with Unity? How long have you got...? Sigh. Another legal set-to between technology companies. Having run the update overnight (yes, overnight) on the Dell laptop to get onto Ubuntu Natty 11.04, I do believe that Ubuntu has hit it's 'Vista moment' in terms of compatibility. Remember when Windows Vista hit a massive road-block in the number of hardware devices that were no longer supported? 11.04 is at that point with graphics. A couple of things last month prompted this post. First, I got hold of a little booklet by Hampshire Linux User Gruop member Damian Brasher, Damian's Social Networking Rules. Second, I saw the call for a Bloggers Code of Conduct over at O'Reilly. 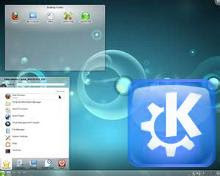 New open source projects have been created by the KDE developers aimed at bringing a consistent user interface across a variety of touch screen interfaces for tablets and multi-media devices. 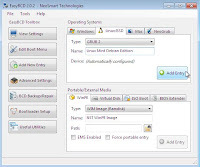 The new Plasma Active and Contour projects are aimed to offer a new user experience for tablets, smart-phones and set top boxes. Full Circle Side-Pod Episode Eight: Hardware, Software and Knitting is available from the main site! In this episode: News, U-Cubed review, and the Opentech Conference. 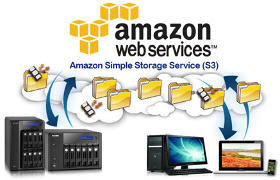 April 21: A massive outage sent Amazon Web Services (AWS) scrambling to fix its Elastic Computing Cloud (EC2) and Relational Database Service (RDS) cloud computing services. From 4.40 in the morning for some 10 hours, major Amazon EC2 cloud customers, including popular Web sites like check-in site Foursquare, socila media aggregator HootSuite, social site Quora and Reddit struggled for connectivity or dropped of the Internet altogether.